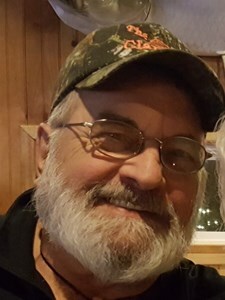 Robert L. Damewood, 70, of Syracuse, passed away November 28, 2018. Robert was born in Auburn, New York on April 16, 1948 to the late Robert and Jane Damewood. Robert retired from Liverpool Central Schools Transportation. In his free time, he was an avid hunter and fisherman and an all around great guy. He was preceded in death by his wife, Donna Lee Damewood. He is survived by his three sons, Robert Damewood, III, Peter M. (Karen) Fabianek, Jeffery (Kim) Fabianek; three daughters, Christa (Ed) Nyce, Sara (Tom) Mills, Debra (Sean) Rice; a sister, Joanne Butler; and many grandchildren and great-grandchildren. Family and friends may call on Tuesday, December 4, 2018 from 4:00 pm -7:00 pm at New Comer Cremations & Funerals - North Syracuse, 705 N. Main St, Syracuse. Add your memories to the guest book of Robert Damewood. So sorry. To hear. Abt. The loss. Of. A father. And grandfather. My heart thoughts and prayers. Go out to. The. Families. I never new. Him. But I have heard. Abt him. Again. So sorry. For the loss. Bob was a wonderful neighbor it was pleasure to known him! As a former LCSD employee, I was honored to have known Bob. He was a great man. I am sorry for your loss Damewood family. You were and still are one of the best Grandfathers I could have asked for. The thing in life I am most thankful for is you and Grandma finding eachother. You helped her during her final months while she was pretty sick and couldn’t do much for herself. You never batted an eye or complained. You’ve always treated me with such kindness and care. You are the strongest and hardest working man I have ever met. I am going to miss you and Grandma so much. But, I am glad you are now together again, for all eternity. I love you forever. Our sincere condolences are with you both at this very sad time. Bob and Donna were great neighbors. They would always stop and say hi. Bob would go out of his way to help anyone. They will both be missed by all. Our sincerest condolences to the Damewood family. I am so saddened to hear of the passing of Bob. I have known Bob since I was a child, my mother Joanne Yarwood started working for Liverpool Schools Bus Driver when I was 5 years old. Bob and Donna were a daily part of my and my mother's lives. Bob will be greatly missed by all that had the pleasure of knowing him! RIP BOB! May they be together again in love like their life's were. RIP my friends. Will miss you both. Rob was a nice guy. He will be missed. Thoughts and prayers for the whole family. We are so sorry to hear that he is gone. Wish we could be there with you guys at this time of sorrow, but we are out of town and won’t be back for services. Want you to know that our thoughts and prayers are with you and may God bless you all. Sad to hear this news. On behalf of your friends and family at the stadium, we send our thoughts and prayers to your family.